Sometimes. You only need to capitalize school subjects if you are referring to a specific title of a class such as “Algebra 2.” In this case, you are referring to a proper noun as the class name. However, if you are referring to the general subject of algebra, then it does not need to be capitalized. 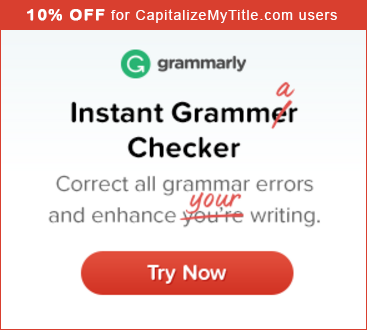 If you want to know what other words should be capitalized, try our free title capitalization tool. Previous articleDo you capitalize English? Next articleIs Valentine’s Day Capitalized? Do I write computer science in capital letters or not??? You would not since you are referring to computer science classes in general. If you said AP Computer Science or Computer Science 101, then you would capitalize them.